Celebrating 150 years as a welcoming, bold, and creative community of faith. Heidelberg, located in downtown York, Pennsylvania is a place to experience the Sacred, to explore your passion for social justice and spirituality, and to create community with others who follow the way of Jesus Christ. We are theologically progressive, welcoming to all, and committed to vital ministry in the city. No matter who you are, or where you are on life’s journey, for an hour, or a lifetime, you are welcome here. Stay for some great HeidelBean coffee, good food, and even better conversation. 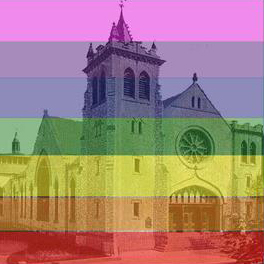 Heidelberg is an “Open & Affirming” congregation of The United Church of Christ. We make a public covenant of welcome into our full life and ministry to persons of all sexual orientations, gender identities, and gender expressions. The Rev. Susan Dheedene joined Heidelberg as Lead Pastor in May of 2017. She oversees the vision and direction of our ministry.